Details about the next-gen Apple TV shed light on major hardware and software updates. If the rumors prove true, Apple is ready to introduce the next-generation Apple TV set-top box during the iPhone event happening on September 9, and we’ve just got the latest details on how this new Apple TV will work. According to 9to5Mac, Apple TV is getting very significant hardware and software updates this time around. Apple TV will run a better operating system—an optimized version of iOS 9—that will pave the way for an Apple TV SDK and App Store. The report also claims that the Apple TV interface has also been redesigned to match the iOS 9 look and feel. Originally slated to debut during WWDC in June, the new iOS 9-powered Apple TV had to be pushed back so that it wouldn’t be too taxing on Apple’s iOS 9 engineers, according to 9to5Mac. In addition, the new Apple TV will have more storage, going from 8GB of flash storage to possibly 32GB, as well as a faster dual-core processor. 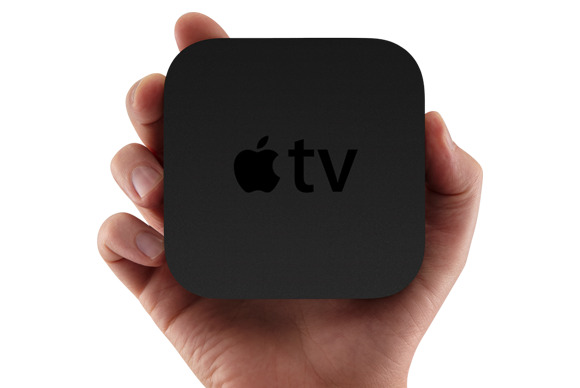 Apple is not expected to announce a live TV service in conjunction with this next-gen Apple TV device. That service has been reportedly delayed until 2016. Why this matters: Apple TV has been long overdue for a refresh—it hasn’t been updated since 2012. Despite that, Apple TV has recently become the leading set-top box for paid TV streaming, surpassing Roku, Xbox, and PlayStation, according to data compiled by Adobe Digital Index. This popularity means that TV app developers are prone to want to build an app for Apple devices first. Now that these apps can be built specifically for the new Apple TV and downloaded instantly via its own dedicated App Store, it expands the range of possibilities of what the Apple TV can be. Some speculate that developers might even release gaming apps on Apple TV, making the set-top box a bridge between mobile and console gaming, although that didn’t work out so great for the Fire TV. Recently promoted from hobby to full-blown product and due for a major refresh, the Apple TV could turn out to be much more than a mere media hub. Perhaps the most noticeable hardware update to the Apple TV will be the touchpad remote. According to 9to5Mac, the new remote will be larger, with more buttons that will likely be touch-sensitive. It’s unclear whether Force Touch, the feature rumored to be coming to the iPhone 6s, will also be a part of these new Apple TV remote controls. Files found by 9to5Mac in the El Capitan developer beta indicated that this touchpad remote control would include both Bluetooth and an infrared sensor to boost connectivity and compatibility with non-Bluetooth devices. Apple might also give developers access to the touchpad control in the Apple TV SDK and utilize it for gaming. These El Capitan files also suggested the integration of audio technology in the touchpad control. These audio capabilities could be for a small speaker built-in to the remote control, an audio jack to hook up headphones like the Roku 3 has, and/or a built-in microphone for Siri support. If the rumors prove true, you will soon have another way to control Apple TV: your voice. The next-gen device is reportedly incorporating Siri to let viewers speak and search what they want to watch or launch a certain app. The new Apple TV will also let users search for content system-wide, according to 9to5Mac. A new feature in iOS 9, proactive search on Apple TV would surface results for a movie across different apps like Netflix, iTunes, HBO Now, etc—this is one of the best features of Amazon’s Fire TV box. This proactive search feature could be delayed, however, until the Apple TV App Store boasts more apps.